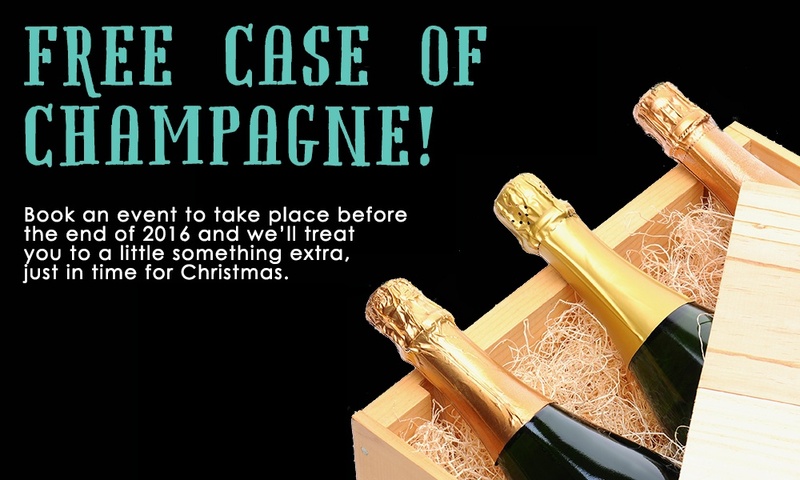 Every event booker choosing Create to cater their event between 1st Oct – 31st Dec will receive a complimentary case of Champagne delivered to their door for Christmas*. Take your pick from our prestigious venues and prepare for the ultimate Christmas indulgence! If you would like to find out more about what we can do for your next event give us a call on 020 8944 4900. *Offer applies to new enquiries for events taking place between 1st Oct – 31st Dec 2016, with a value of over £10,000 + VAT. Cannot be used in conjunction with any other Concerto Group offers.